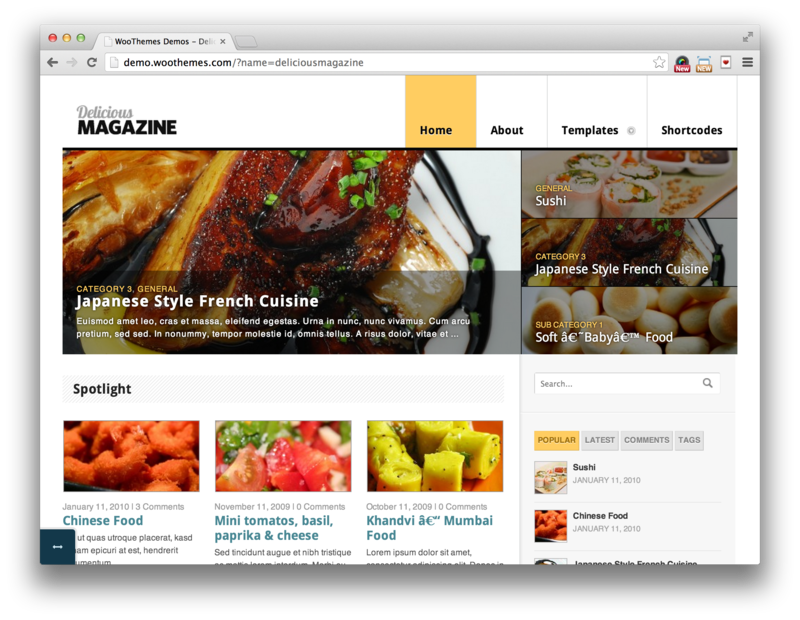 Professional, feature-rich themes for every niche imaginable. 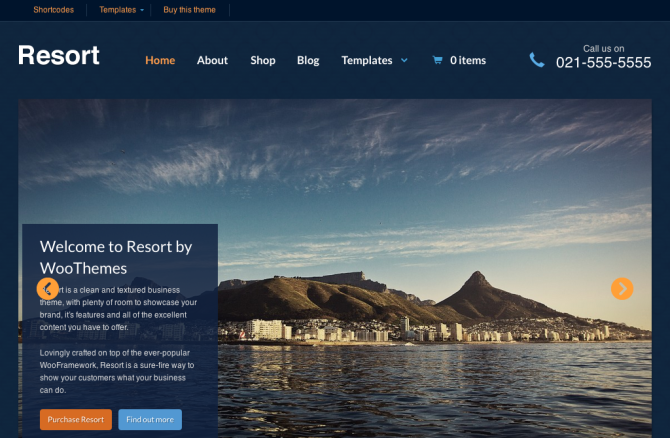 Powered by the flexible WooFramework, WooThemes feature support for the must-have WooCommerce platform and plugins. Check out the official site for demos and complete lists of features. 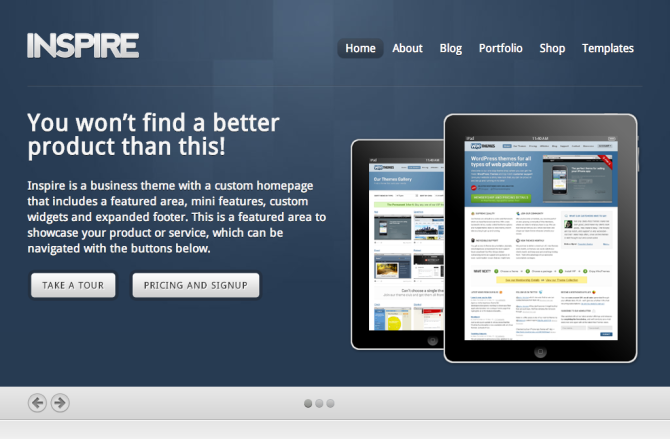 Instantly download WooThemes Themes at an incredible discount. No coupon codes required! Just click “Add to cart” and follow the instructions. You’ll get an instant download link. It’s that easy! Why are we so affordable? Our products don’t include premium support or auto-updates. That means we can offer more than 95% discounts on professional-looking, premium WordPress themes. If you are a beginner and do need commercial support, consider buying directly from the developer. Want serious discounts? 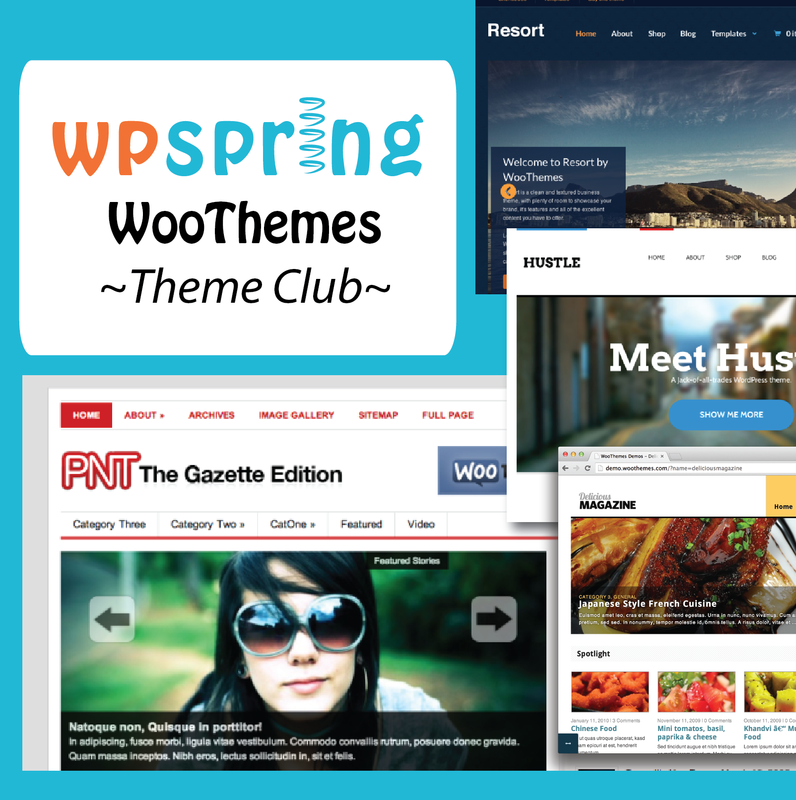 Join the wpspring Member Club (Every Plugin on the Site + All Themes). You’ll get access to every plugin and theme on wpspring.com for just $25 a month. 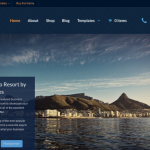 They just offer the easiest and intuitive theme for your WordPress site. By far, I have used these themes to almost all of my clients. 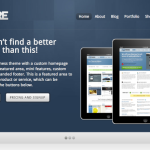 WooThemes is a provider of high quality WordPress themes. They have a wide selection of products to choose from. 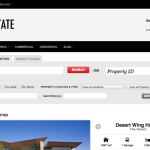 You can find big variety of themes from magazine, portfolio, gallery styles to business and personal types. 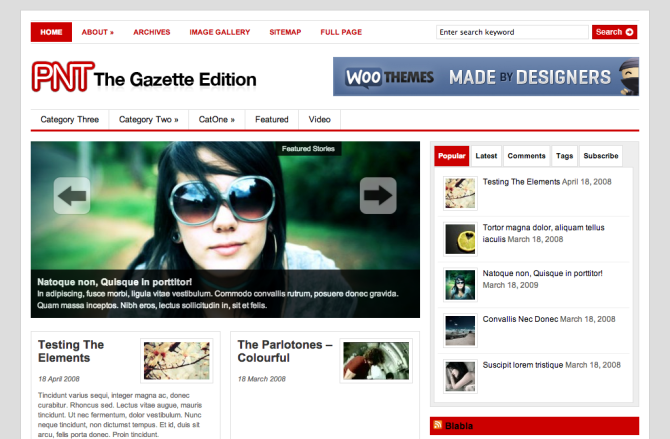 Built on WooThemes own winning formula, Biznizz will give your website a fresh new look. 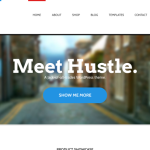 Its integrated slider and custom homepage layout, in addition to the optional portfolio page template, makes Biznizz a great candidate for your next business website. So far, WOO Themes is it for me. The best? I’m not rating on “best,” I’m rating on excellence in many areas. The best? That’s for you to decide. But WOO Themes is a solid choice. 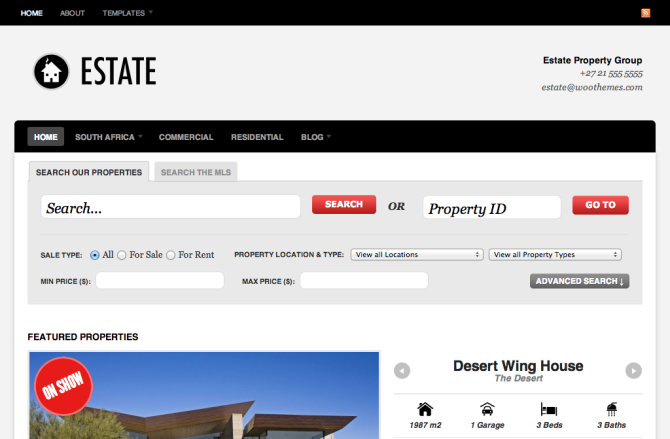 I like Woo Themes because their development tends to push the envelope for cool things you can do with wordpress. For instance they developed the WP 3.x menu management system. They also developed a Tumblr like posting system with the new WP custom post types, which is also really neat to work with. I agree with Alex about Woo pushing the envelope in design/development. They make great-looking themes right out the box. For a newbie, I’d recommend Woo. the Canvas theme stands head and shoulders above the rest as the flagship theme. 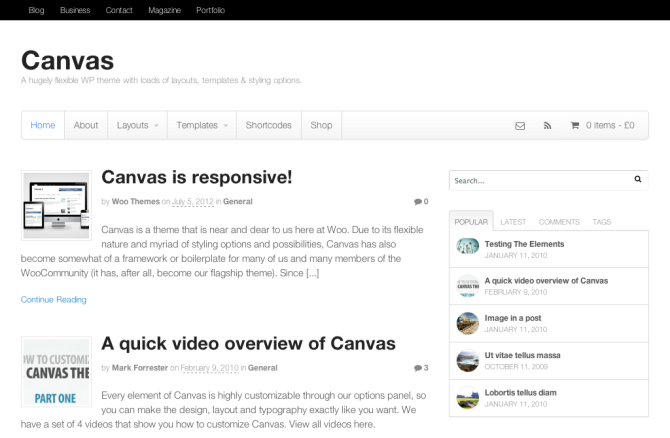 Canvas was released in March 2010 and we started developing with it straight away. Ever since we’ve been using it as the basis for most of our websites, including most recently Ideas Mag, Home Mag, Thunda Celeb News and FairLady Testhouse. Why do we love this theme? 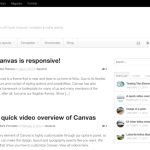 By default Canvas is very plain, with web standard fonts, navigation menu, main content area, sidebar, and a footer with areas for widgets. This can be misleading, as once it has been activated, a new collapsible menu is added in the WordPress admin section, that transforms canvas into the most functional WordPress theme available. 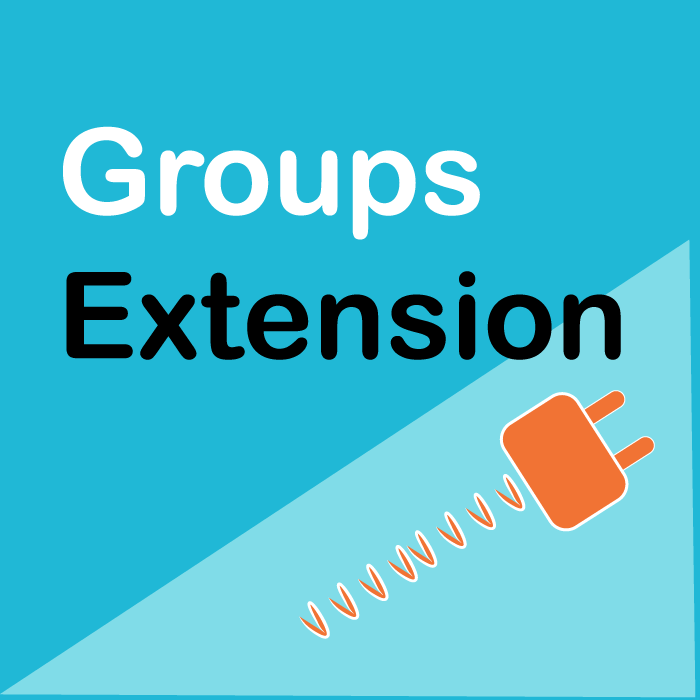 All themes and plugins are GPL, so you don't need a license to use them on as many sites as you want. We do offer access to updates for as long as your subscription is active.